“I am thrilled that we have reached an agreement with Unibet. I feel confident that our games will be very well received by their players and we look forward to working jointly with them, achieving great results.” says Daniel Lindberg, CEO at Quickspin. Listed on NASDAQ OMX, Unibet is one of the largest privately owned operators on the European market. Under the terms of the agreement, all brands part of Unibet e.g. Unibet.com and Maria.com will be able to access all current and future games developed by Quickspin. 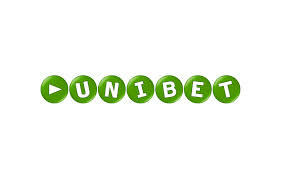 Unibet was founded in 1997 and is an online gambling company listed on NASDAQ OMX Nordic Exchange in Stockholm. Unibet is one of the largest privately-owned gambling operators in the European market and provides services in 27 languages through www.unibet.com, www.unibet.dk, www.unibet.fr, www.unibet.it, www.unibet.be, www.unibet.com.au , www.maria.com and www.mariacasino.dk. Unibet also offers Sportsbook B2B services through Kambi Sports Solutions, www.kambi.com.